Black licorice is used as an alternative herbal treatment for acid reflux. Acid reflux is a condition in which the esophageal sphincter (the flap that separates the stomach from the esophagus) does not remain closed and acid from the stomach splashes into the esophagus. This disorder causes heartburn and discomfort in the stomach. Black licorice is an herb known for its calming medicinal properties. It is used to help treat and heal the lining of the stomach. Instead of using over-the-counter or prescription medicine, use black licorice either in chewable lozenge form or pill form to calm the stomach and heal any erosion that has taken place in the esophagus. As explained on Healthy.net, you must buy "DGL" (deglycyrrhizinated licorice) because other forms of licorice can raise your blood pressure. Dr. Jacob Teitelbaum of Healthy.net suggests chewing two tablets 20 minutes before meals. He also recommends taking DGL with whatever measures you are already taking. If you want to stop taking other medications, take them both for a month or two. If you are feeling better, speak with your doctor to find out if you can stop taking your prescription. If you are only taking the DGL, take it for as long as necessary; most people can stop taking it with no future problems after a couple months. Though black licorice helps calm and heal your acid reflux, it will only be completely beneficial if you cut out negative contributors. 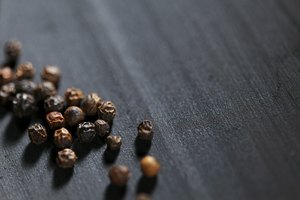 Allow black licorice to do its job by cutting out coffee, aspirin, soda, and alcohol until your stomach heals, as suggested by Dr. Teitelbaum on Healthy.net. He also explains that by using medicine that shuts off stomach acid, your body responds later by creating extra stomach acid; this is a no-win situation unless you heal your body instead of fighting the acid. 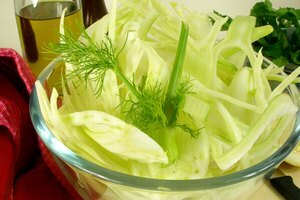 What Are the Benefits of Cardamom Fennel?